Whether you’re in need of a new battery for your key fob or a complete replacement, trust the professionals at Sewickley BMW to make the process simple and stress-free. Our staff of parts experts and factory-trained technicians are standing by to help. Car keys have evolved over the years. Today’s BMW vehicles commonly come equipped with a smart key, which enables you to lock, unlock, and start your vehicle with the touch of a button. These advanced keys are powered by an internal battery, which can wear out and require replacement from regular use. If your key is experiencing delays or is entirely unresponsive, it could be time to replace the battery. Our knowledgeable BMW parts specialists will be able to determine whether it’s the battery or the entire key that will need replaced. Our team will be able to determine whether your key needs a replacement battery, re-programmed to your vehicle, or if a replacement key is needed. Since keys are a security-sensitive component of your vehicle — only you, or someone authorized by you, can order a replacement key from a BMW dealer. 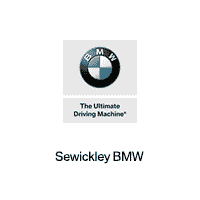 In order to do so, Sewickley BMW will require proof of vehicle ownership and identity with original documents. Should your key simply need a battery, the replacement process could take as little as 15 minutes. Depending on the model of your vehicle and the specific type of key, our parts department may need to order a replacement requiring a wait time of a few days. We welcome you to schedule an appointment at your convenience. Costs will also vary depending on the type of key that you have. As part of the process, our team may need to test the remote and mechanical key functions. In order to do so, the dealer will need access to your vehicle — either in-person at Sewickley BMW or at the location of the vehicle. This process may be subject to an additional service charge which will be documented on the Repair Order.